Fargesia RED PANDA is a form of Clumping Umbrella Bamboo Plant with narrow leaves remain green throughout the year, and a vertical upright habit, with the added bonus of the most amazing cane colouration. A great bamboo to use in groups or as a solitary specimen. Very easy to grow and maintain - non-invasive. Perfect for planters or as feature plants in the garden. 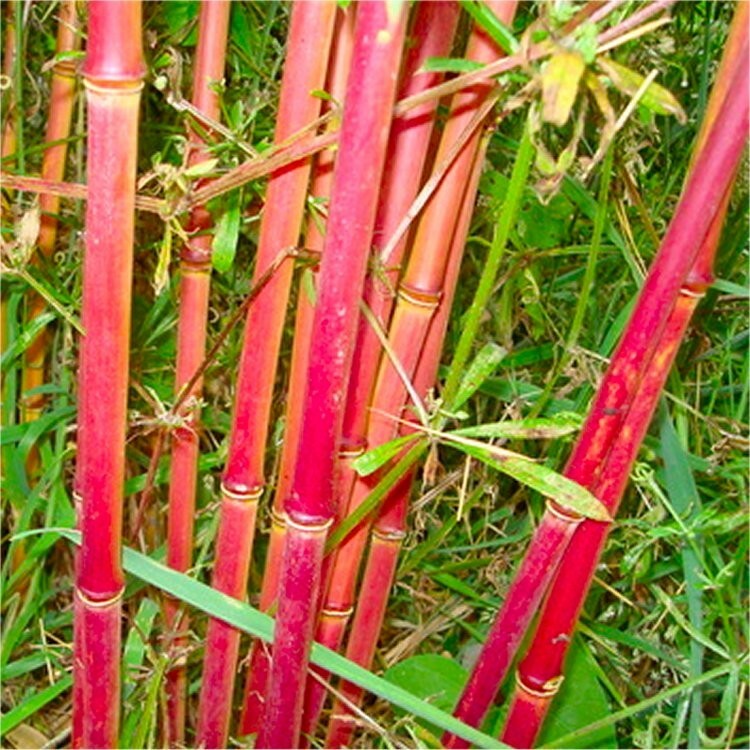 Red Panda is a highly ornamental garden bamboo. 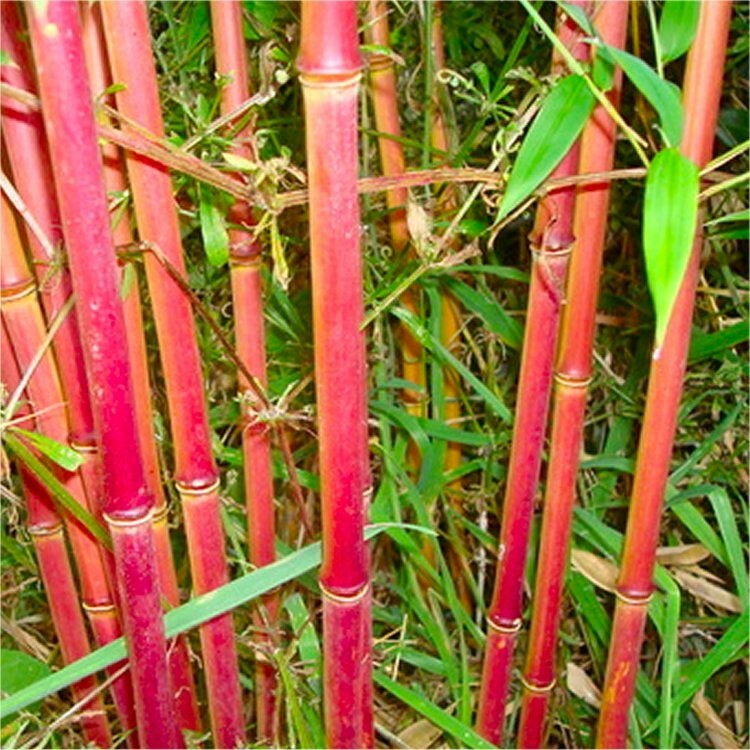 A medium-sized bamboo with attractive arching canes and masses of soft green leaves. Recently introduced from China, this Bamboo is fast becoming one of our most popular varieties thanks to it's graceful appearance with arching canes, and unusual colouration. 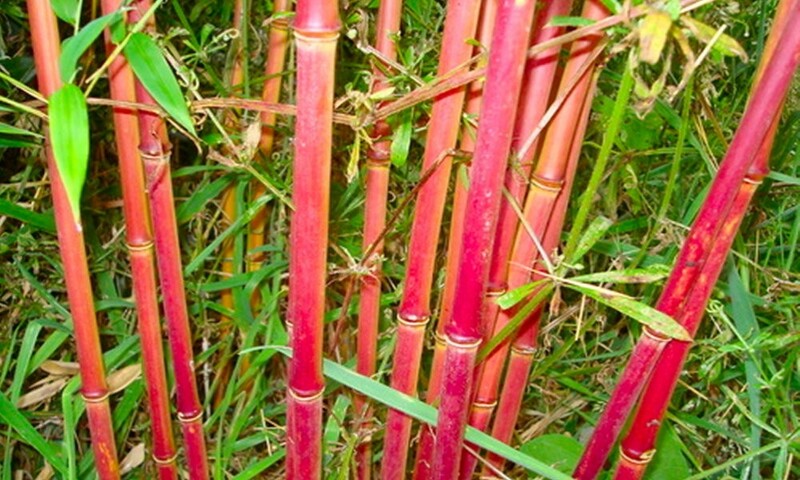 Unlike most other Fargesia bamboos, the new canes of this clumping type emerge somewhere between orange-red and crimson-plum in colour, maturing to olive green. This adds an extra dimension of interest compared to the standard varieties, and it can be used in exactly the same ways. Excellent in a container as a solitary plant, used as a hedge or screen, planted in groups as a feature, this list of options goes on. We think it look particularly good near water or used in a garden with a far eastern theme, combined with Japanese Maples for example. Perhaps simply enjoy as an attractive pot plant on the patio, relaxing as you hear the breeze rustle through the foliage on warm summer evenings as you sit enjoying your own little tranquil oasis. Compact in habit, Fargesia Asian Wonder really does make it an ideal exotic specimen or container plant for small gardens. Supplied as a well established plant in an approx 2-3 litre container at up to around 60cms tall inclusive.